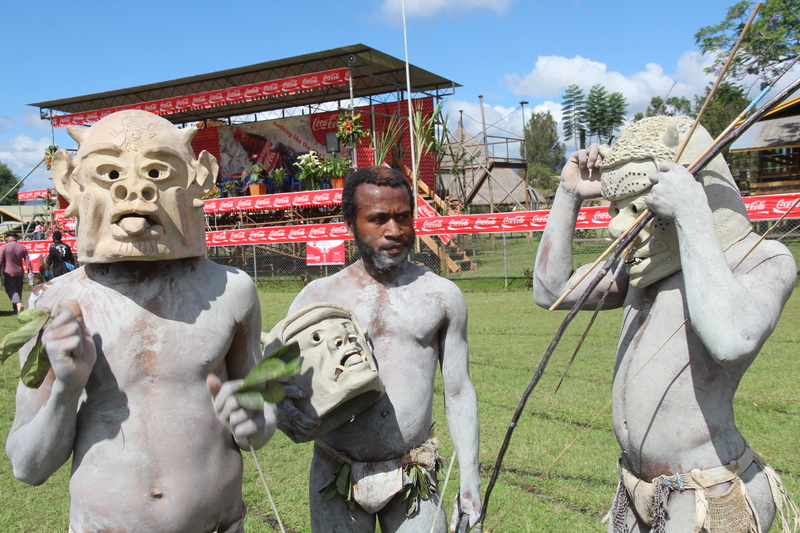 Mardi Gras meets Halloween at the Goroka Show | Where to next? 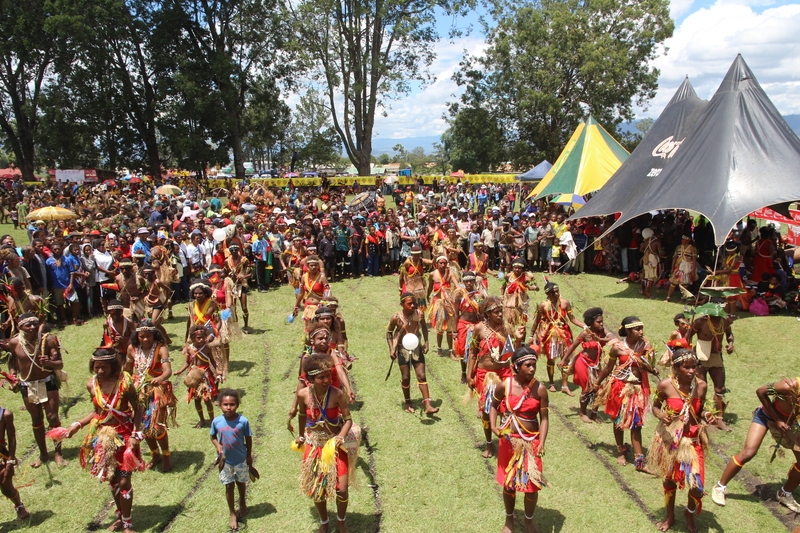 Where to start with the Goroka Show? Frankly I’m still reeling from an overload of colours, sights, sounds, songs and jiggling flesh. Oh yeah, I seen enough flesh to last a lifetime. This show is just one of many tribal gatherings—known as sing-sings—that occur across Papua New Guinea. And they are unique to that country. Australian administrators got the shows going in the 1950s and 60s as a way to get tribes to celebrate PNG’s extraordinary and diverse cultures. Imagine bringing together hundreds of different, and sometimes warring or isolated, ethnics groups, and turning them loose in an enclosed area with all the body paint, eleborate decorations, boundless energy and stunning creativity from whatever the jungle, sea and shops have to offer? Goroka’s sing-sing is one of the biggest and most colourful. It got started in 1956 and is usually on the weekend closest to 16 September (the date in 1975 that Australia gave PNG independence). For the last few years, a friend in Port Moresby (and someone we travelled with in Africa in 2009) has urged us to see the Goroka Show, so this year we started planning. Poor John is the great organiser, so I left it to him to find a reasonably priced option. I’ll be covering all the elements in our package, as well as the days we had in Port Moresby before and after. For now, here are a few more introductory pics—I’m still sorting through the hundreds I took. Also hope to post a couple of videos. 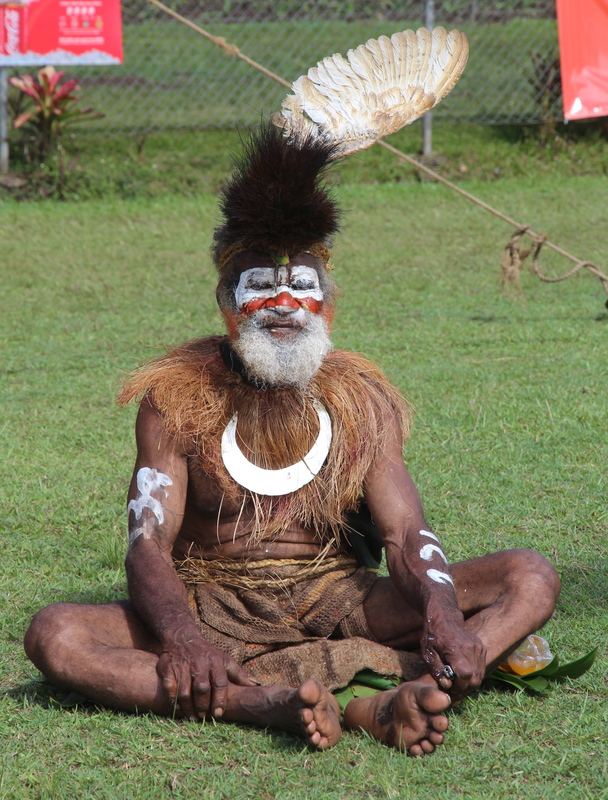 ← The Goroka Show—perhaps the greatest show on earth! Seems kind of like a cheerleader competition! JK. That would be interesting to see many tribes at one time. Oh wow, what a great description, but they’re much more colourful than cheerleaders. I felt surrounded by thousands of Lady and Lord Gagas!